Do you have a planner girl in your life and you’re not sure what to get for her this Christmas? Or are you a planner junkie who want some inspiration as to what to put on your wish list? Well, look no further! 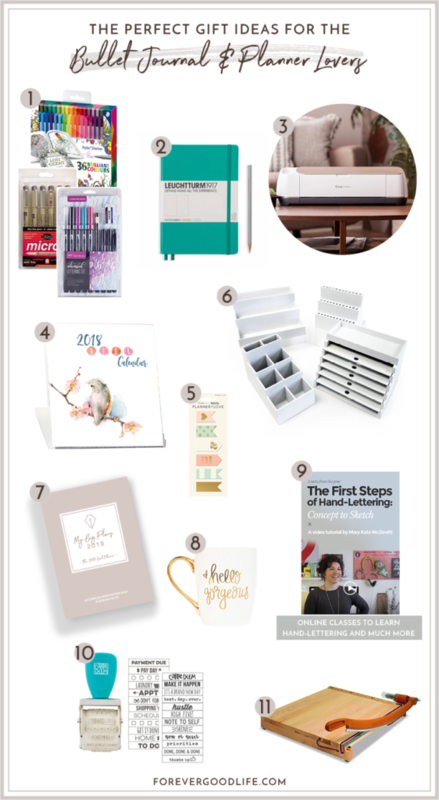 Here you’ll find the perfect gift ideas for planner lovers! And of course, these match a bullet journalists idea of the perfect gift as well, so no worries! 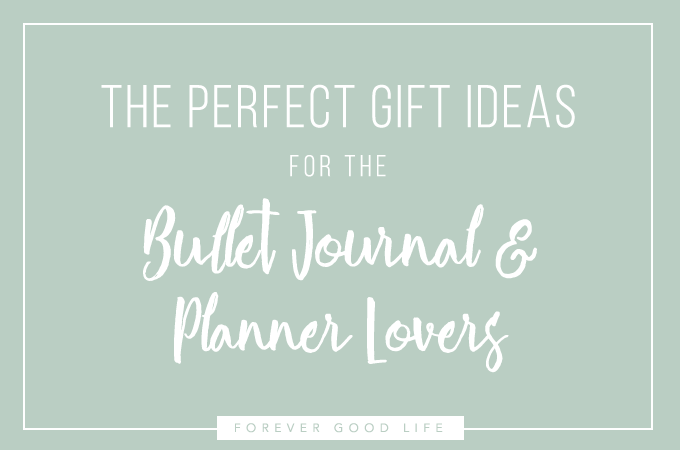 I’ve put together this Perfect Gift Ideas For The Bullet Journal and Planner Lovers to help those of you who might not get this whole planner craze and don’t really see the magic of the #plannerworld. Read on to learn more about what we love to use and get a glimpse into our world. If you’re a planner lover yourself, don’t hesitate to send this to your loved ones to give them some inspiration of what you’d like to see in your Christmas stocking. Pens are always a good gift idea for any #plannernerd or creative! We all have our favorites, but most of us love to try new ones. Plus, since we use them a lot (for our planning, obviously) we need to fill up our supply quite often. Micro pens, I chose a set of different nib sizes. Staedler, great for adding color to the planner and doodles. TomBow, I would venture to say this is one of the most liked brands when it comes to pens for calligraphy and hand-lettering for many planners. Especially important for bullet journalists, but all paper and stationary junkies love to get their hands on some pretty notebooks! Leuchtturm1917 is one of the most commonly used notebooks for bullet journalists, and most often it is the dotted version we love to use. It comes in a bunch of different colors and sizes, although most bullet journals are made in the A5 size version. This machine is awesome for a lot of different reasons. It can be used to kiss-cut stickers, making it easy to peel off the sticker from the paper and use without much hassle. But there are so many more things you can do with this machine! You can cut leather and even thinner wood pieces! Check out the short video that gives a glimpse into the Cricut-world. We #plannerlovers love to make our desk areas look pretty, that’s for sure. There are so many ways to do that, and one of them is to add a pretty calendar like this one. These Planner Love Magnet Clips are a perfect way to keep track of where in the bullet journal or planner you are. Plus it doubles as a bookmark. Most planner lovers are also a lover of pens and pretty notebooks. And there’s always the issue of organizing all the stuff. So, a great gift for any planner or stationary lover is a way to organize our beloved pens, washi tapes, stickers and so on. Here’s a set of four organization boxes, and they can be purchased individually as well. Well, as the name states, planner lovers love to plan. And now with 2018 right around the corner, what better gift to give than a planner to help set the right goals and then go through, step-by-step, how to reach those goals. 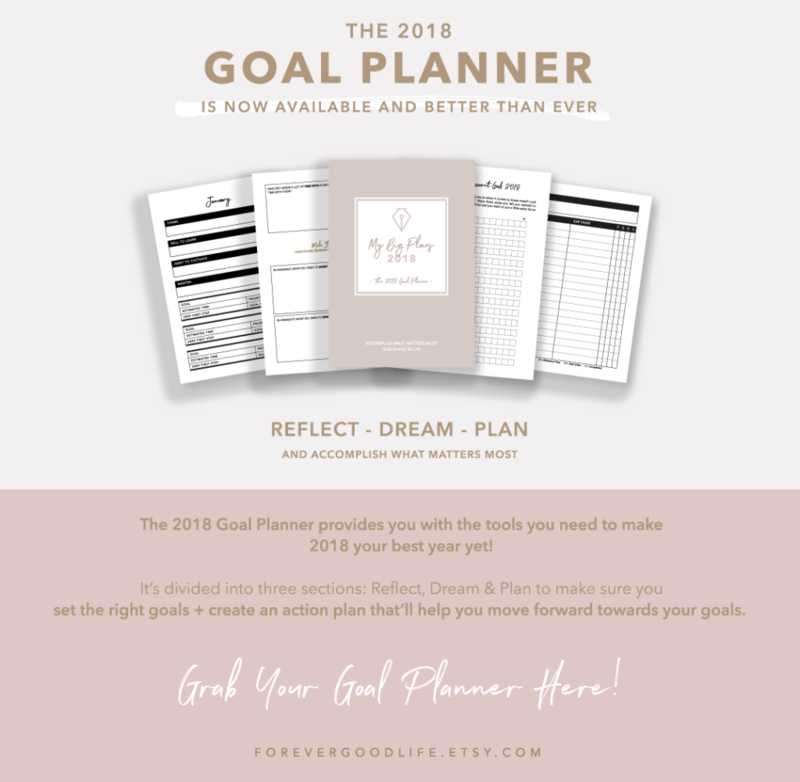 This example of a goal planner is a printable planner, so why not save the PDF on a USB stick , write a sweet note and wrap it all in a pretty box ? Whether we drink coffee, tea or hot cocoa we all love to do so in a pretty mug . And why not add some positivity to every day with some positive or inspiring text on that pretty mug. Skillshare has some amazing online classes that would make the perfect gift for any planner lover or creative. Or cooking lover. Or entrepreneur-wannabe. Or Spanish-learner. The list can go on and on. There are so many classes on Skillshare, in creative, business, technology and lifestyle areas. If you want to learn it, there’s probably a class on Skillshare. And the best part is that when you sign up for the paid version you get access to all the classes! No need to chose which classes to gift as they’ll have the whole library of more than 10.000 classes to chose from. If you want to give them some inspiration for creative classes, I’ve created a free printable that you can download and give them as well. Read more about it on this blog post where you’ll also be able to read how to get your hands on that free printable. This is a fun and easy way to add details to the planner without having to be able to write pretty :) There are many versions of roller stamps on Etsy, here are two that I think would be fun for most planner lovers to add to their toolbox; Inspirational and Carpe Diem. This is especially useful for those of us who use digital planners or stickers. Or if you want to try ready-made bullet journal layouts and not have to create your own every week or month. This stylish paper cutter will look amazing on any stationary lovers desk! Well, there we have it! I hope you found some inspiration from this list. If you choose to gift (or add to your wish list) something from this list I’d love to hear about it. I hope it turned out to be a great success! Some of my links are affiliate links. If you choose to buy anything through these links, I’ll make a small commission at no extra cost to you :) Thanks for your support!